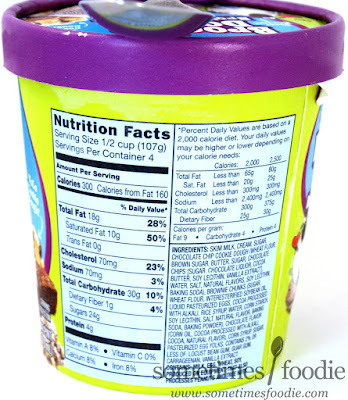 Aldi started offering pints of ice cream that look suspiciously like Ben & Jerry's, and it comes in three flavors: Brookie Dough, Make Fudge Not War, and Thank You Cherry Much...and they were only $1.99 each!?! Naturally I bought all three. 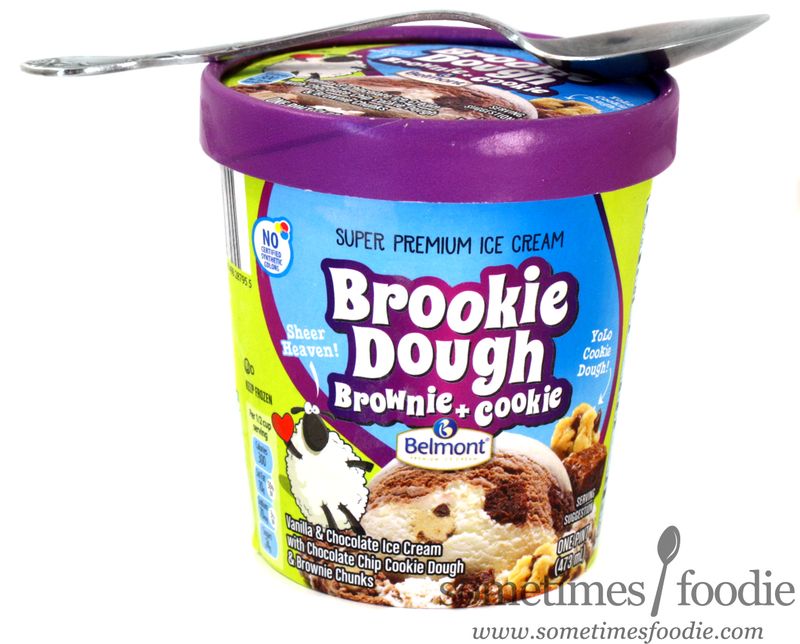 First up, Brookie Dough! 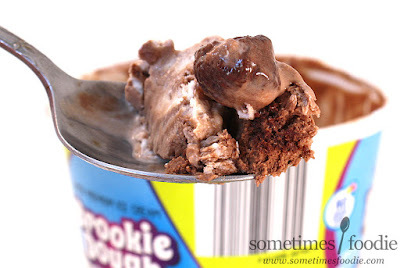 What we have here is a pint of vanilla and chocolate ice cream with brownie batter and cookie dough bits mixed in. Hmm, this sounds a lot like Ben & Jerry's Half Baked to me! This past year Aldi has released some amazing packaging that blurs the lines between big budget brand name products and no-frills store-brands, but this isn't one of them. This design is gaudy, goofy looking, and pretty ugly. We've got a clip-art looking cartoon sheep, a poor man's version of the simple Ben & Jerry's cow, and some really garish color choices. Purple and neon green? It's like Barney on acid. 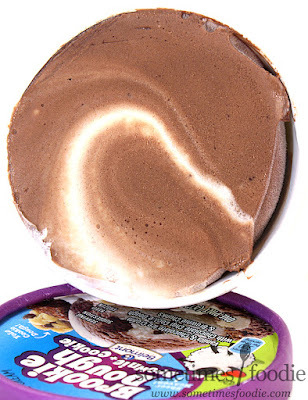 Visually this is obnoxious, but if the ice cream inside is tasty, it'll all be worth it. I peeled back the lip and the surface was a lovely swirl of vanilla and chocolate ice cream. No sign of mix-ins yet, and it looks a little chocolate-heavy, but I'm not discouraged. The ice cream is decent quality, I'd say it's on-par with classic vanilla and chocolate Ben & Jerry's, and it has a nice mouth feel. Overall, typical vanilla and chocolate, nothing too fancy. 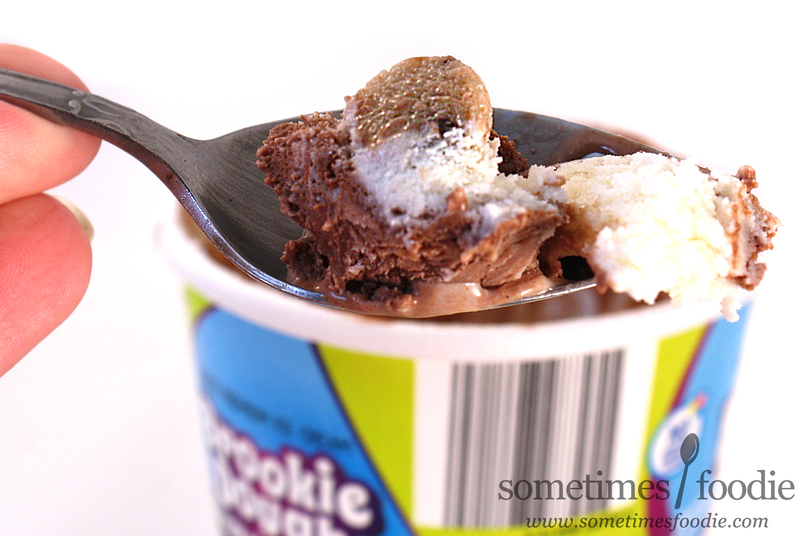 The cookie dough nugget was crumbly and sugary, like most cookie dough ice cream mix-ins, and it was really satisfying. My first spoonful didn't blow my mind or anything, but for $1.99, this was good. Damn good! I tried to dig up a brownie piece next, but that took me a little while. It seems most of my brownie chunks had sunk to the bottom, while cookie chunks stayed closer to the surface. The brownie bits are larger than the cookie ones, and square-ish shaped. They're soft and chocolatey with more of a brownie-batter-feel than a baked brownie, and they were my favorite part! Rich, chocolatey, fudgey goodness! Very yummy. I don't think the brownie pieces are as big as the ones in Ben & Jerry's, but there seems to be a healthy amount of them at the bottom, so I don't mind! With a pint of Ben & Jerry's Half Baked being almost twice the cost (Ben & Jerrys Half Baked $3.97 at Walmart & $1.99 for Brookie Dough at Aldi), I'd take this any day! I will definitely buy this again, it's a great value for your money and it tastes delicious. 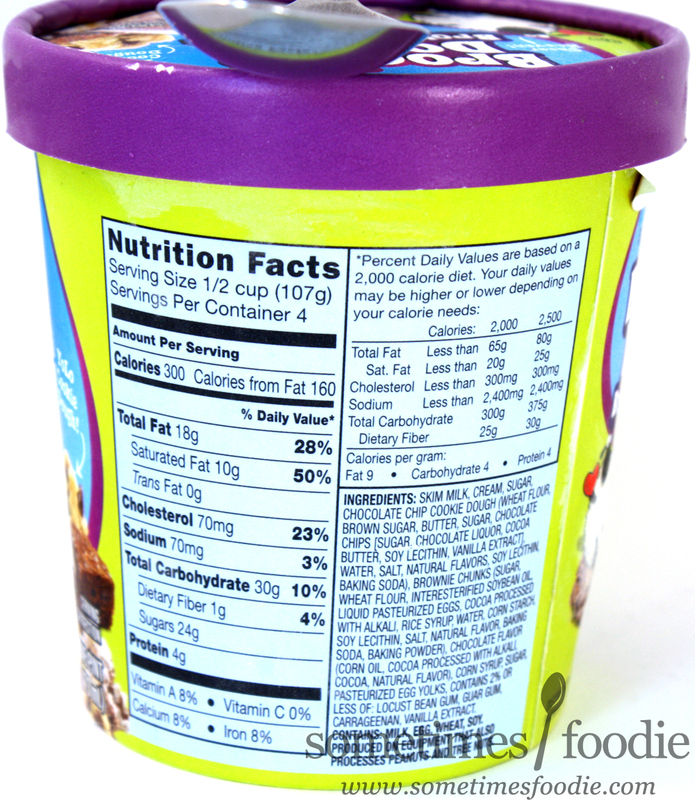 If you're dedicated Half Baked fan you might find these smaller mix-ins to be a little unsatisfying, but I think this cheaper alternative is the way to go. I plan on buying a few pints and stocking up my freezer, you never know when awesome Aldi items like this might disappear!